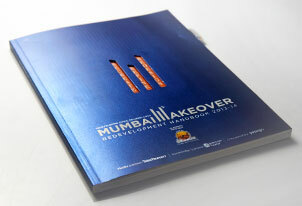 Mumbai Makeover is a knowledge based platform and media initiative launched by YOUNG Media to evangelize and disseminate credible content with regard to Real Estate Redevelopment. Though redevelopment is an often discussed topic and almost a buzz word amongst the citizens of Mumbai, there is a perceptual gap when it comes to understanding the nuances and actual concept. Consequently, redevelopment which is an imperative for a city like Mumbai has witnessed stifled acceptance and has not gained the requisite impetus which is needed to ensure the maximum city to be reshaped and transformed on the lines of international new-age cities. The objective of Mumbai Makeover is to plug this content need-gap with relevant media vehicles and initiatives which would educate the common citizen about redevelopment concept, the actual executional aspects and provide a common platform for all stake-holders – housing societies, residents, real estate developers and government policy-makers/influencers. The initiative commenced with a series of broadsheet publications which was distributed along with The Times of India, Mumbai to specific micro-markets within the city. Infrastructure developments (recently completed, under execution and future plans) – how these would change the dynamics of certain micro-markets in terms of connectivity, pricing, legalities, etc. 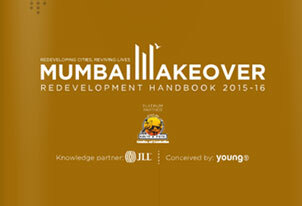 Mumbai Makeover, with JLL as the Knowledge Partner, has been accepted within the industry as a thought leadership platform and credible evangelist for redevelopment amongst Mumbaikars seeking credible knowledge about redevelopment as well as the real estate fraternity.